A press release from Resolute Support, the name for the NATO mission to support Afghan security forces in their war against the Taliban, claims that the Taliban tend to reduce operations during the winter in preparation for renewed hostilities in the spring. As such, US and Afghan government forces have begun to shift their strategy to focus on taking ground at the very end and very beginning of the year. For instance, the Pentagon reported that the coalition conducted 455 strikes in December 2017, compared to just 65 in December of 2016. Others in the coalition have questioned if such a schedule is actually of any use. Retired Army Gen. Stanley McChrystal, who commanded US forces in Afghanistan in 2009 and 2010, said during his command that war "is not a cyclical kinetic campaign based on a set ‘fighting season'; rather it is a continuous yearlong effort." Part of the new American strategy in Afghanistan introduced by US President Donald Trump is a prolonged air campaign aimed at disrupting one of the Taliban's key income sources: opium. The militant group collects hundreds of millions of dollars in revenue from processing and smuggling drugs out of Afghanistan, but airstrikes against their processing sites in southwest Afghanistan have cost them a reported $20 million since November 2017. The US Air Force saw their rules of engagement relaxed under Trump so that they may "strike Taliban targets at will." Previously, they were only authorized to launch strikes in the direct defense of Afghan allies under attack. The Pentagon has been batting around the idea of deploying around 1,000 additional troops to join the near-14,000 already in Afghanistan, the Washington Post reported on Tuesday. American forces will also be receiving new toys for the offensive, weapons transferred from Iraq and Syria now that Daesh has been defeated as a territory-holding entity. New weapons include artillery, drones, helicopters and ground vehicles such as tanks and APCs. The most notable acquisition will be the A-10C "Warthog" Thunderbolt II, a ground-attack aircraft that proved highly effective when deployed against Daesh. Warthogs have not been seen in the skies over Afghanistan since 2015, but their close air support and precision strike capabilities make them perfect for targeting Taliban drug-processing facilities. Operation Resolute Support was criticized for their press release at the end of 2017 reviewing the year's operations as a success. Gen. John Nicholson, who commands Resolute Support, highlighted "a number of successes" in denying "the Taliban any of their stated battlefield objectives… In 2017 the Taliban failed to take any provincial capitals." But the Taliban's stated goal for 2017 was not to capture provincial capitals but to control large amounts of Afghan territory — and they do, holding 40 percent of the country in mid-2017 and possibly more now. So long as they hold these expansive rural areas, the Taliban can fundraise, resupply, recruit, and retrain for as long as they need to. Their decentralized strategy also makes it difficult to strike damaging blows against the organization. Although the war in Afghanistan has raged for over 16 years, the Taliban has proven a stubborn enemy and are nowhere near defeat. In April 2017, they conducted one of their most successful offensives in the entire war, killing over 250 Afghan soldiers in an assault on an Afghan National Army (ANA) camp. 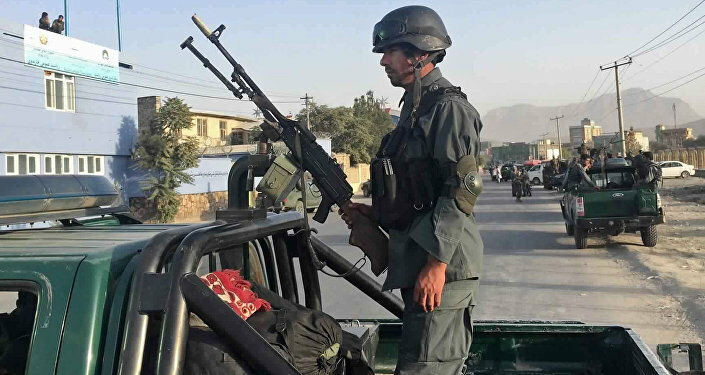 Some major cities are under coalition control but are frequently beset by Taliban raids, most notably the capital city of Kabul. US troops move between Kabul and Camp KAIA by helicopter, as the few miles of road between the capital and the base are constantly under attack by the Taliban. The Taliban are following a strategic pattern of war characteristic of every major conflict in Afghanistan in the last 200 years — one that has repeatedly frustrated the abilities of foreign militaries to pacify indigenous resistance permanently. However, US leaders hope their path to lasting victory over the militants is to empower local Afghan forces with superior technology and tactical doctrine. For example,ANA's targeting and air support have improved since receiving more comprehensive training in the use of drones. But not all of the US' technology initiatives have been as successful. The Pentagon announced an initiative to replace the ANA's fleet of Russian-built Mil Mi-17 "Hip" helicopters with 119 Sikorsky UH-60 Blackhawks. While the Blackhawk is far more advanced than the Mi-17, that may work to its detriment: the vehicle's technical manuals are complicated, which could prove a major stumbling block in a country with one of the world's lowest literacy rates. The Mi-17 is also cheaper to repair and replace.